In addition to notions of DIY and self-publishing, Nick Thurston’s talk (which was discussed in last week’s blog) also explored themes of media theory and digital distribution. After detailing his recent exhibitions and publications, Thurston continued to contextualise his practice within works relating to online media, reproduction, plagiarism and open access material. This was of particular interest to me in my use of digital image archives and my hypothesis of the necessity of transmission between cultural networks in order to assist innovation. Thurston began this section of his presentation by discussing the essay Art Post-LaBeouf by Niklos Szabo. In a similar way to previous discussions around post-internet art, Szabo suggests that the internet as a tool for remixing ideas has led to increased creativity and innovation through the use of networks. Technology has become a reflexive tool, where books are written by algorithms and artists pretend to be bots. Art Post-LaBeouf was written in response to the essay #stopcreating by Shia LaBeouf, which aimed to explain LaBeouf’s relationship to plagiarism and creativity. Although the idea of Art Post-LaBeouf appears ironically pretentious (in the style of other postmodern artistic movements), the premise of the article raises interesting points about the artist’s relationship to artworks and media platforms. He answers in support of LaBeouf: “Far from being ‘authorless and nameless’, texts are both attributed and timestamped by the technology that created them, and then indexed by search engines. The fact that anybody paying attention was able to discover that LaBeouf’s tweeted apologies for plagiarism were themselves plagiarized on the same day that he plagiarized them shows that far from anonymizing text by facilitating copying, the Internet makes the possibility of significant plagiarism vanishingly small”. 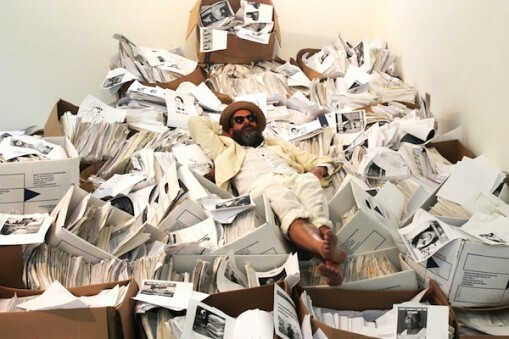 The same article also mentions the artist and Ubuweb founder, Kenneth Goldsmith in relation to his essay The Writer As Meme Machine and his exhibitions Printing out the Internet and JStor Pirate. Goldsmith is concerned with ‘found text’, remixing, appropriating, and collecting, both on and offline. However, although his interests are similar in some way to LaBeouf, he believes that creativity is not dependant on the editing process, but rather in the “mastery of networks” (Szabo, 2013). These networks are explored in his ongoing project ‘Printing Out The Internet’, which began as an open call for pages printed from the internet to be exhibited in full at Labor Gallery, Mexico City. The premise of the exhibition was to utilise crowd-sourcing methods to promote open access and a free Web, in memorial to the internet activist Aaron Schwartz, who committed suicide “while facing federal charges of computer hacking after his alleged theft of millions of documents from the academic database JSTOR”. Throughout the course of the exhibition, the gallery received 10 tons of printed material including “spam folders, bank statements, online diaries, news articles, 20 pages of the letter “A” repeated continuously, 500 pages of poetry created by erasing text extracted from Web sites, and musical scores to the complete works of Austrian composer Gustav Mahler”. This material was displayed as stacks of paper, and submissions were also read aloud by members of the public from a platform in the gallery space. Although the project had support from the gallery and its contributors, it also gained detractors, who felt that the work was at best, pointless, and at worst, irresponsible. A major concern of Goldsmith’s opponents was that he was encouraging wastefulness of resources in the name of art. However, Goldsmith believes that it is necessary to attempt to concretise such large amounts of information to begin to understand the capacity of the Internet. Dan Zak’s article for the Washington Post quotes Goldsmith’s experiences of trying to understand data in a physical sense: “I downloaded a torrent that was supposed to be some chunk of Swartz’s heist. It was 33 gigabytes, and it was something like 18,000 documents, and I began unzipping those files. And within each one of those were thousands and thousands of pages… We have no idea what we’re talking about, and I think the way to understand it is to concretize it… We’re dealing with abstraction, and we have no idea what this is. We need new metrics for infinity”. 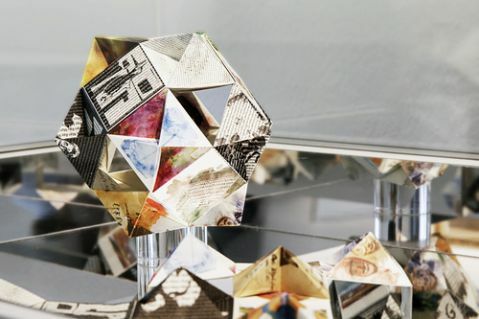 Despite the fact that printing out the internet is a task which is doomed to failure, Goldsmith dismisses this as irrelevant, preferring to focus on the symbolic questions that the project raised against data loss and restriction, as well as the ways in which art can be produced from existing objects to create meanings which increase exponentially.